Only a parent will understand the unconditional love we feel for our newborns. In my case, it was a pure emotion, almost raw and painful. But do both the sexes feel the same type of emotion? My first son was born at 9pm after a long day of painful induced contractions. He was two weeks overdue. To my mortification, his father brought a mate into the delivery room minutes after I had finally delivered the placenta, legs in straps, blood and mess still littering the no longer clinically clean room. His friend was to become our son’s godfather and my husband was desperate to show off the son and heir, born in Chelsea & Westminster Hospital, face towards the iconic Stamford Bridge football stadium. His emotions were heightened by this coincidence; since the moment I announced I was pregnant the plan was for Ben to become a Chelsea fan. His new son was destined to join him in the terraces, feel his elation at a win and total despondence after a losing game. I don’t think my husband is alone in thinking that passing on the passion for a football team is the whole point of having children? Eventually the proud new father and his friend left me alone, off to the pub to ‘wet the baby’s head’. I was relieved to have my baby to myself, exhausted and in pain following a nasty tear, but elated. I picked up the tiny little boy and brought him onto the narrow hospital bed, cradling carefully, terrified I might damage him. Then we looked at each other, eye to eye – staring intensely. I don’t remember sleeping at all that night; I was too amazed, too in love, too frightened. My son was quiet and pensive and I was awe-struck. I had never experienced anything like it and from that moment on putting my children’s comfort and needs before my own has been second nature. That’s not to say my children’s father does not love the boys. He does and they love him, but I’m pretty sure it’s different. The truth is, men and women ARE different. I enjoy a Chelsea game but when another team wins I’m able to brush it aside and get on with my life. I don’t collapse into depression. I’m pragmatic and able to say “Oh come on now, it’s only a game. What shall I cook for supper?” The boys in my family are not hungry. They are mourning the lost elation of the win, the fact they must wait another year to get into the Cup Final, win the league, travel across Europe with a chance to become the Champions. Life in my house after losing a game is pretty dull. Well not today! We are all cheerful today, high on last night’s result. 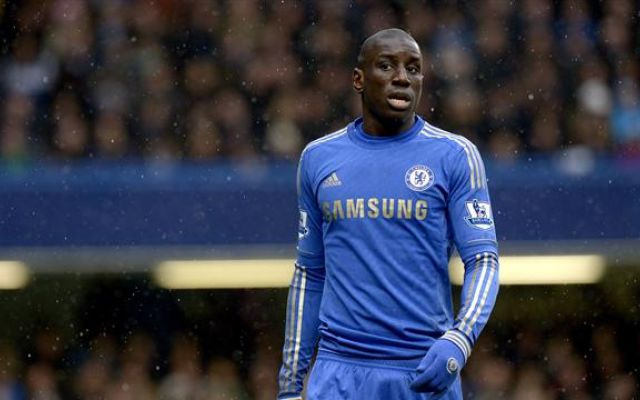 Demba Ba (our fabulous Senegalese player) scuffled the ball into the net in the 87th minute, ensuring Chelsea are through to the semi-finals of the Champions League. All I can say is “phew”! All is calm at home, the boys won’t fight, chores will be done and peace and harmony reign…for now at least. But more importantly, my sons have done their job – they support their father’s team making him a very, very happy man and ensuring he achieved the hopes and aspirations of that first night in hospital so many years ago. I too am happy. My sons are good and generally pretty kind, even a little emotional for great big teenage men. I miss them being babies and needing me the way they used to, but I love the fact they always come back to me; the first thing they did when they got back from the footie late last night was run upstairs and jump on my bed, waving their blue and white flags and recounting excitedly every detail of the game. Result: win/win all round – for both mother and father.